When asking which countries have Disney theme parks, it is important to note that Disney owns numerous types of theme parks. The most well-known theme parks may be in the United States, in Florida and California, but the other parks located around the world are just as awe-inspiring to visit. 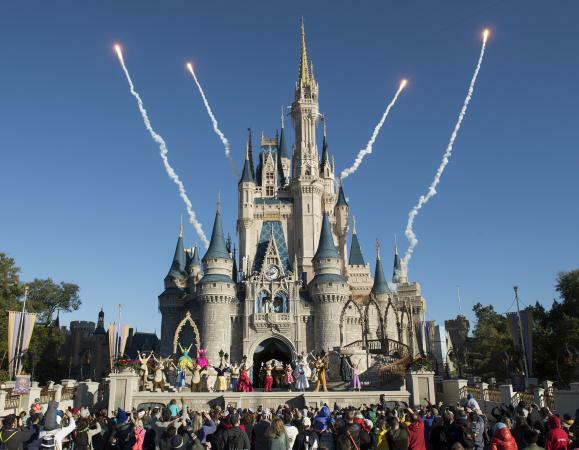 Which Countries Have Disney Theme Parks Around the World? For those who love the thrill of seeing their favorite characters while riding exciting themed attractions, Disney definitely has something to offer. The following are the current Disney theme parks open around the world. While there are no official plans to open a new Disney theme park anytime soon, there are expansions taking place at each of the resorts worldwide. Walt Disney founded the Disney Company in the 1920s. From there, several theme parks developed throughout the country. Disneyland Park in California: The Disneyland Park opened in 1955. The park has several themed regions, called lands, including Main Street U.S.A., Frontierland, Fantasyland, and Adventureland. In 2001, the Disneyland Park was renamed Disneyland Resort. It also includes Disney California Adventure Park, Downtown Disney, Disneyland Hotel, Disney's Grand Californian Hotel and Spa, and Disney's Paradise Pier Hotel. Walt Disney World Resort: Walt Disney's dream was to create a park in Orlando, Florida that offered numerous theme parks, hotels, and shopping areas. Walt Disney World Resort opened its doors in 1971 with the Magic Kingdom theme park. The resort later opened Epcot, Disney's Hollywood Studios, and Animal Kingdom parks. Water parks like Disney's Blizzard Beach and Typhoon Lagoon, and the ESPN Wide World of Sports are all located in the Orlando resort as well. Numerous Disney hotels and the Disney Springs shopping area round off the offerings at the Orlando resort. In April 1983, Disney opened the Tokyo Disney Resort. The resort is located in Urayasu, Chiba, Japan. 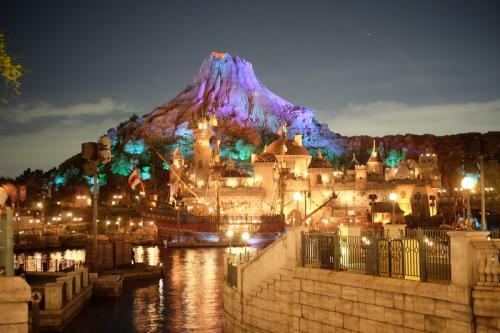 In 2001, the resort expanded with the addition of Tokyo DisneySea. There are several hotels on the property, and also a shopping center called Ikspiari. 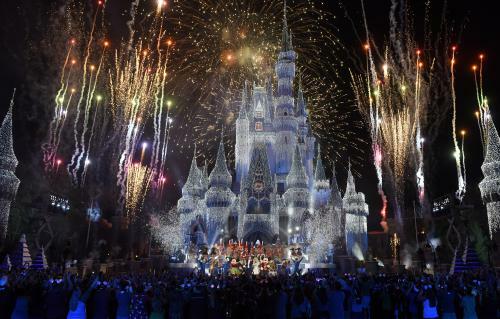 The resort is under the ownership of and is operated by the Oriental Land Company, but Disney holds the license to and retains some controlling rights in the park. Disneyland Paris opened its doors in April 1992. It originally opened as the Euro Disney Resort. It is located in the Marne-la-Vallee suburb of Paris, France. The resort features numerous resorts and a Disney Village shopping area. There are two theme parks here, Disneyland Park and Walt Disney Studios Park. The final component of the park is Golf Disney, a large golf course. In mid-2017, Disney acquired almost all the remaining shares of the park, making them the majority owner again. Disney now holds just over 97% of shares, making a legal claim they have full ownership of the Disneyland Paris Resort. 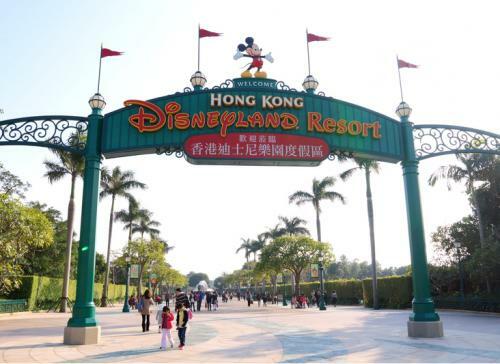 Disney's second addition to its Asia park lineup was the Hong Kong Disneyland Resort. It opened in September 2005. The resort is located in Penny's Bay, Lantau Island. Although the park has been open for over a decade, there is still a sizable amount of land available for future development. The resort consists of one park, Hong Kong Disneyland, and Inspiration Lake Recreation Center. In addition, three resort hotels - Hong Kong Disneyland Hotel, Disney's Hollywood Hotel, and Disney Explorers Lodge - are also on property. This park is operated under Hongkong International Theme Parks Limited, with shareholders being the Hong Kong government and The Walt Disney Company. 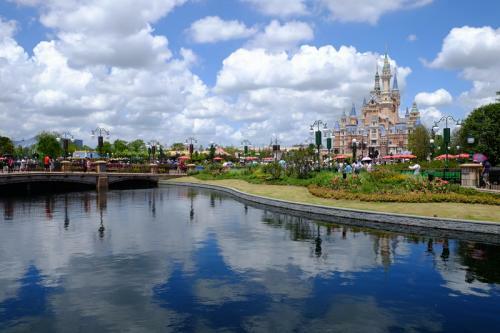 The newest Disney theme park to open was Shanghai Disneyland in mid-2016. It is operated by Walt Disney Parks and Resorts and Shanghai Shendi Group, with Disney holding majority ownership. It is 963 acres, dwarfing even Tokyo's Disney park, and it features the largest castle and longest parade route. It has six themed lands, a shopping area, and two hotels. Expansion plans already started taking place only months after Shanghai opened. Toy Story Land should open sometime in 2018. Disney Cruise Line: The Disney Cruise Line has four ships, Disney Magic, Disney Wonder, Disney Dream, and Disney Fantasy. Popular itineraries are three-, four- and seven-night Caribbean cruises. When taking the cruise, you will stop at Castaway Cay, a private island owned by Disney located in the Bahamas. 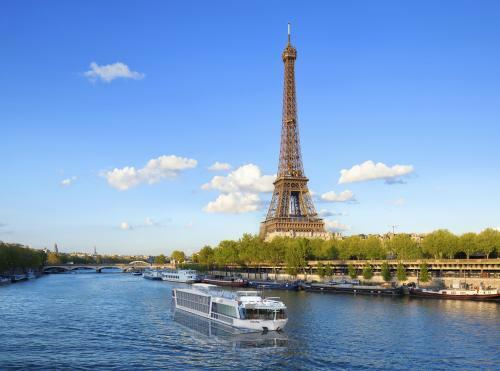 Other itineraries include Europe, Alaska, Canada, Bermuda, Mexico, and even the Panama Canal. ESPN Zone: Throughout the world you may find ESPN Zone restaurants, which are sports-themed restaurants operated by the Walt Disney Company. Aulani Resort & Spa: Head to Hawaii and check out Aulani Resort & Spa in Ko Olina. It's a beachside hotel and resort offering luxury and Disney magic on the Hawaiian island of Oahu. Adventures by Disney: Adventures by Disney are guided family vacations to a variety of destinations worldwide. Packages are available in North and South America, Europe, Asia, Africa, and Australia. Both of the US parks are currently undergoing massive expansions, including the addition of Star Wars Land and the rebranding of Disney California Adventure's Paradise Pier area to Pixar Pier. Hong Kong is seeing additions dedicated to Frozen and Marvel that are expected to open in 2020. Tokyo is expected to undergo a huge expansion as well, growing the park's area by about 30% when it opens by 2023. 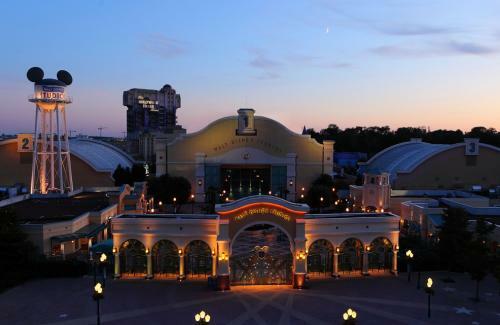 It is expected that Marvel attractions will play a role in Disneyland Paris' expansion plans as well. To keep the magic alive and Disney fans happy, you can pretty much be assured that there will always be some type of refurbishment or expansion taking place at each of the Disney theme parks worldwide.